If it is your first time traveling to Fuchu, Tokyo during the tail end of July and early August, then you might have seen the rather ubiquitous display of eggplants and cucumbers on stilts at the entranceway of some homes or cemeteries. This period is called Obon - a spiritual festival of the dead. I recently learnt that the cucumbers and eggplants are symbolic for horses and cows that will safely transport the ancestral spirits from the spirit realm back to their hometowns and to their families. Despite the use of the term ‘festival’ in this ancient tradition, and the recent convivial atmosphere surrounding the recognition of the ancestral dead, the period of Obon is a solemn time for Japanese people to honour their ancestors. I read somewhere that most places in Japan will celebrate Obon primarily during mid-August according to the lunar calendar or mid-July if you live in the Tokyo area, which is said to observe the solar calendar for this event. Interestingly, I spoke with a local here in Fuchu, Tokyo who contends that this area traditionally celebrates Obon from July 31- August 2 each year. The reason she provides for this variation highlights the influence of capitalism on traditions and customs. It is believed that the Silk industry at one point changed the time from the usual mid - July in order to minimise the impact the celebration would have on the production of silk since people normally would have to travel back to their hometowns to join in this custom. I don't know how factual this information is but I deduce that it had to be of similar import if not so, to have such a drastic change to the norm. It is also fascinating to see variations in such a widely celebrated custom here in Japan. How about you? Have you seen any differences in the Obon celebration? Is there any elaborate decorations unlike the cute vegetal cows and horses riding back to and from the spiritual realm? Hi, I'm Damion. I teach, paint and write. 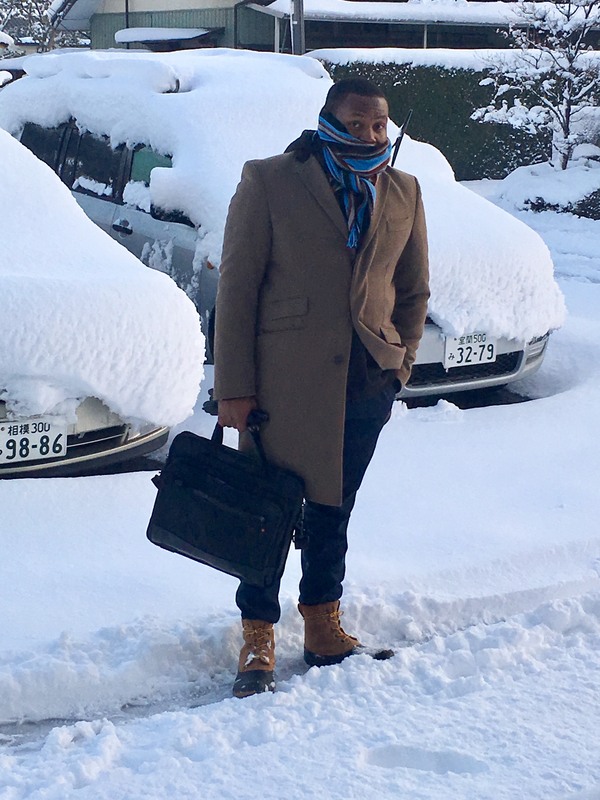 I hope to share my nomadic experiences with fellow expats and learn how people with similar experiences are overcoming daily challenges and making Japan their home away from home.